If irony had a capital, it would be in Islamabad. Because when Pakistan was born, it was touted as the a�?Land of the Purea��, based on the premise that it had always been a race different from the a�?Land of the Hindusa��. The first crack on the purity hypothesis appears when you dissect the name Pakistan. The Persian suffix a�?-istana�� is a derivative of Sanskrit word a�?sthana��, meaning a�?placea��. I wonder why the puritans didna��t think of this glaring contradiction when they opted for Pakistan. A simple train journey to Pakistan will reveal more ironies. Lahore, the second largest metropolis, literally means a�?Fort of Loha��. And surprise of surprises, Loh turns out to be none other than Lava, the son of Rama. Whata��s interesting is that the city of Kasur was supposed to have been founded by Kusha, the brother of Lava. The Ramayana connection doesna��t end there. Pushkal, the son of Bharata, laid the foundation for an ancient settlement called a�?Pushkalavatia��, which later became Pushpapura (the city of flowers) and finally morphed into Peshawar, when Emperor Akbar named it so. Even Multan, the fifth populous city, has a Sanskrit origin. Historians say it was derived from a�?Moolasthana��, the name of a sun temple of yore. 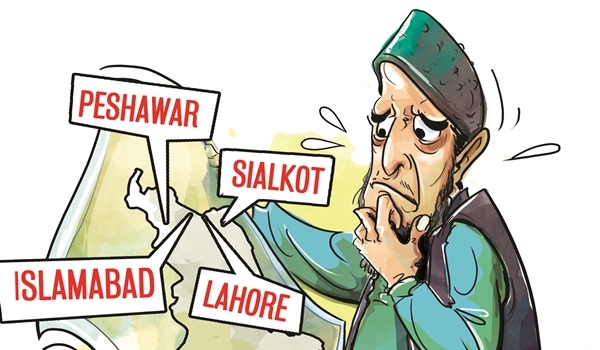 Sialkot, the home of cricketers Imran Tahir and Mohammad Asif, has Indic roots, too. The city was founded by Raja Salivahana and is called the a�?Fort of Siala��. Sial happens to be the gotra of the Jat clan that lorded over the city. The ultimate demolisher of the purity myth of Pakistan is its rivers. Fortunately, nearly all of them retain the pristine nature of their original names. The 774 km-long Jhelum is derived from a�?jala�� and a�?haimaa�� (Sanskrit for water and snow) and not ja-e-alam (place of flag) as some would like us to believe. Chenab, one of the a�?western riversa�� over which Pakistan has control, owes it etymology to a�?Chanda�� and a�?aba�� or the Sanskrit a�?Chandaa�� and a�?apa�� which means a�?moon rivera��. The Swat River that gives its name to the Swat Valley, now famed as Malala Yousufzaia��s home town, is a contraction of the Sanskrit a�?Suvastua�� (crystal clear). Clearly, whata��s coming through is like all civilisations, Pakistan is another melting pot of shared histories. The only difference though is that the country is in a state of complete denial. Perhaps waging a proxy war on ignorance should bepriority no 1 for Nawaz Sharif.